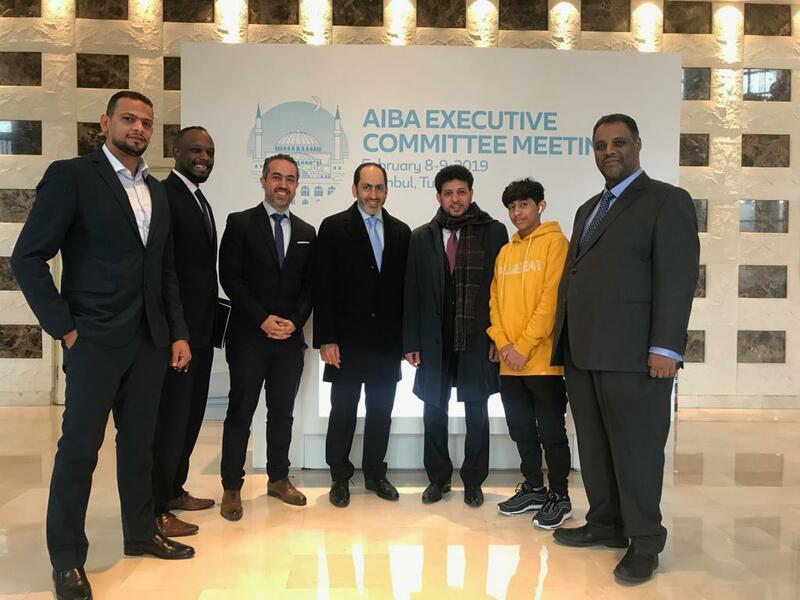 The President of the Asian Boxing Confederation and AIBA Vice-President Mr. Anas Alotaiba attended in the AIBA Executive Committee Meeting which was held in Istanbul, Turkey at the weekend. AIBA Executive Director Mr. Tom Virgets appreciated the great efforts and the hard work of the Asian Boxing Confederation during the AIBA Executive Committee Meeting. ASBC President Mr. Anas Alotaiba and his special guest, a sport expert from the United Arab Emirates Dr. Abdullah Alshibani accompanied him to Istanbul beside ASBC Executive Director Mr. Ali Salameh, ASBC Competition Director Mr. Omar Aljabri, ASBC Administrative Director Mr. Bassam Ghanem and ASBC Finance Director Mr. Wail Elsadig. The ASBC team negotiated with the leaders of the boxing world in the Turkish capital to develop our sport in the Asian continent and prepare to the main goals in 2019. 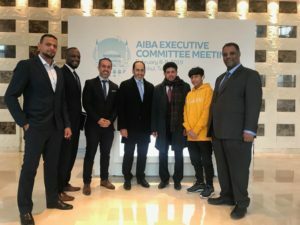 The Agenda of the AIBA Executive Committee Meeting contained several important topics including the relations with the International Olympic Committee, reviews of the different areas, management reports and other key issues. Mr. Anas Alotaiba presented the ASBC Confederation Report during the AIBA Executive Committee Meeting. The membership issues, the progress reports of the upcoming AIBA competitions, the Athletes Commission election process, the new appointments, the AIBA Headquarters report, the sponsorship opportunities, the rule changes requests, and several other presentations were the further topics of the Executive Committee Meeting. The Asian continent’s top boxers delivered sensational results in the AIBA events in 2018 which is the base for their road to the Tokyo 2020 Olympic Games. Asia claimed 80% of the gold medals in the AIBA Women’s World Boxing Championships and our young hopes won several titles in the Buenos Aires 2018 Youth Olympic Games and also in the Budapest AIBA Youth World Boxing Championships.